Half & Half footy scarves nah make me a third/third/third one ! So with marathon number one out of the way this week has been about recovery and by Wednesday I had stopped walking like John Wayne. It was back to pounding the streets on Wednesday and a run today as well. Just the Tunnel 10k on Sunday and two light jogs Tues/Weds and its all eyes to The London Marathon but more of that next weekend. Whilst in town on Monday I walked past one of the stalls. You know the ones that sell all kinds and those infamous half and half football scarves. Who in the right mind would want one of those. Imagine cruising the streets in your half and half Liverpool/ManUtd scarf. You would end up getting twatted by both sets of fans. But this week there is a new scarf on the scene. Yep your one and only “The National” scarf. Now admittedly the weather so far has been shite and a few of the ladies today might have needed a few scarves handy to keep the chill out but why would you want a ” The National” scarf. Lets suppose your crazy enough to want one. First option is the colour. 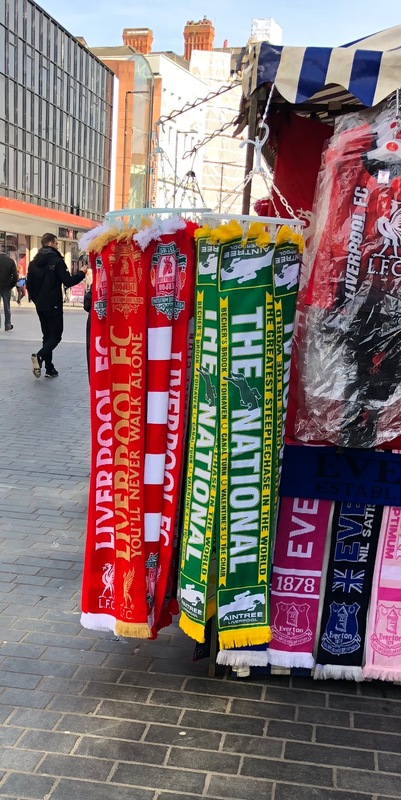 Now I have no idea why “The National” scarf is yellow and green. This would pose problems when requesting your half and half scarf with Norwich City. Now that you have settled on the yellow and green colours what would you possibly want on your “The National” scarf. I know lets bang the names of a few of the famous fences on it as well. What more could you want ? There you will be head held high singing “We love The Grand National we do ohhhhhh Grand National we love you” scarf proudly lifted above your head and as many are held on the kop it would have to be back to front or upside down just to complete your idiotic look. Thinking about this scarf venture I believe the market stalls have missed a trick here. They could have rush produced individual scarfs for each horse name with the jockeys colours on along with the jockey and trainers name. Aghhhhhhh the OCD in me is kicking in. It could also have the form of the horse on and the number. Possibly the weight as well and why not the age and Timeform rating. Stop it stop it. We could even go all retro and have some past winners such as a Red Rum scarf. Right I am off to apply for Dragons Den and I have the ace card up my sleeve and for one day only you could have a limited edition third/third/third scarf as tomorrow we see Liverpool play Bournemouth and its The Grand National. Plumbing new depth in the world of scarves. 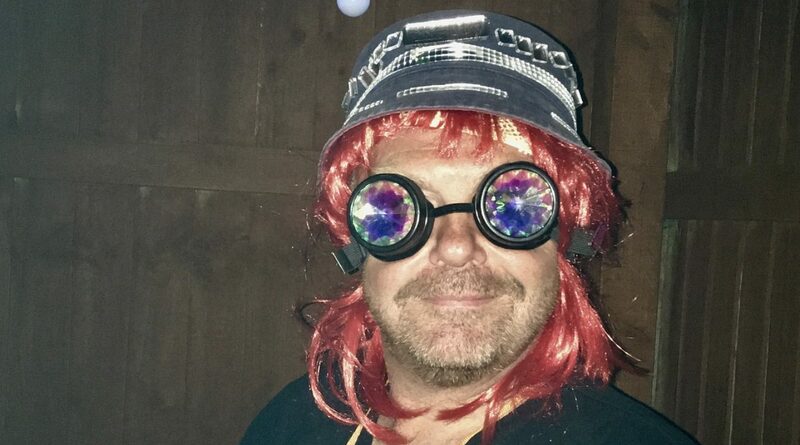 Tom Baker eat your heart out. With the outrageous price increase in FIFA world cup Russia 2018 panini stickers up from 50p a pack to 80p a pack it was a sad day the other day when I decided that I would not be collecting this year meaning my run of completing full albums from World Cup 2010 to Euro 2016 would come to an end. It worked out with extra stickers this year that to complete the album by normal methods would cost you 9.601 Billion Dollars which funny enough is the Gross Domestic product of Chad who failed to qualify for Russia 2018. Anyways group on had a deal for a box of 100 for £65 and I was back in the game. Gone of the days when I would collect Footy 81 stickers at just 5p a pack and the free market would declare that the Liverpool badge was worth at least 20 normal stickers or 10 stickers a can of Top Deck Lime & Lemonade and a Wham Bar. My eldest daughter (13) who started collecting was forced to collect in 2010 still wants to collect them as does my youngest daughter (6) but sadly middle daughter (10) has no interest and would rather make slime ??? So if anybody fancies hitting me up for some swaps please do so as I already have Andreas Bjelland and Viktor Vasin on swap. Got, got, need.